Born September 14, 1920, in Shawnee, Oklahoma, he was raised in Indianapolis, attended St. Patrick's Elementary School, and graduated from Cathedral High School in 1937. 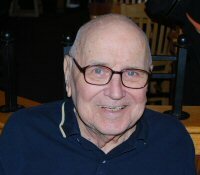 He entered the US Army Air Corps June 1943 and served in WWII where he flew combat in B-29s from Guam as a Bombardier. He then was trained as a radar navigator and flew numerous reconnaissance missions in B-29s, B-47s and B-52s, including photo recon missions over Russia during the Cold War in 1956, for which he was awarded the Distinguished Flying Cross in August 1960. Other citations included the Asiatic Pacific Campaign Medal with Bronze Star, Air Force Outstanding Unit Award (while with 26th Strat Recon Wing) and Air Force Commendation Medal for meritorious service 1959-62. He served as Intelligence Officer for the 31st Tac Fighter Wing at Phan Rang Air Base, Viet Nam in 1970. He was last stationed at Dyess AFB, Texas with the 55th Bomb Wing, which was sent to Guam for several missions over Viet Nam while the war was winding down and retired in November 1972 after almost 30 years in service with the rank of Lieutenant Colonel. Urban and his wife Mary were married for 61yrs. They have 5 daughters, Patty (deceased 1989), Mary Ann, Debbie, Becki, & Theresa; ten grandchildren and two great grandchildren. Lt. 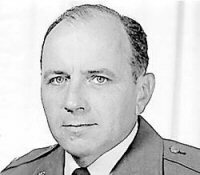 Colonel Urban F. Thinnes, USAF Ret. took his final flight on 21 September 2010 at the age of 90 yrs. and one week.